The two-door Elmiraj concept "is very doable" as a future production vehicle, says Cadillac executive Bob Ferguson. 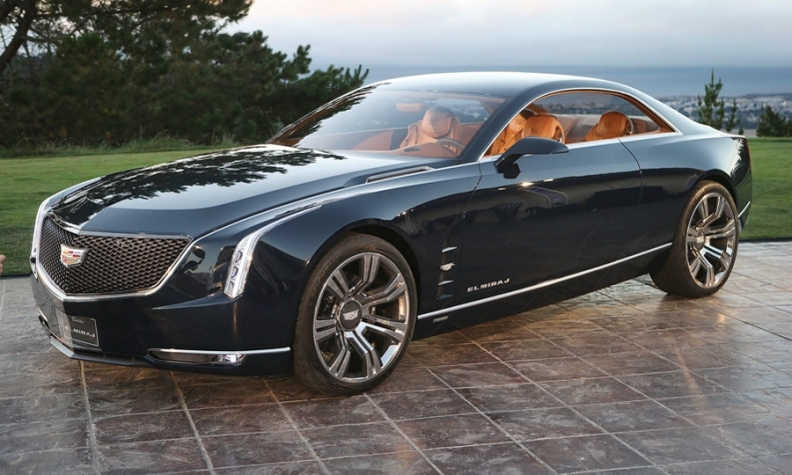 CARMEL, Calif. -- The Elmiraj grand coupe concept Cadillac unveiled here last week stands a good shot at becoming a production model based on a rear-wheel-drive large sedan that's scheduled to arrive in about two years, the brand's top executive said. The two-door Elmiraj coupe "is very doable," Bob Ferguson, senior vice president of global Cadillac, told Automotive News. "Sometimes you go through these exercises to make a design statement," he said. "This car is marketable. It's practical enough to be put through the production process." He added: "Our dealers really want a vehicle like this." Ferguson said any coupe variant likely would come after the large rwd sedan that Cadillac is developing for 2015. Automotive News reported in July 2012 that GM had approved production of a large rwd sedan to compete against the Mercedes-Benz S class and other luxury rivals. At 205 inches, the Elmiraj is 3 inches longer than the XTS, the front-wheel-drive sedan that is now Cadillac's biggest car. The concept coupe shares some design cues with the well received Ciel open-air car Cadillac showed two years ago at the Pebble Beach Concours d'Elegance. GM said the Elmiraj is powered by a 4.5-liter twin turbocharged V-8 delivering 500 hp. 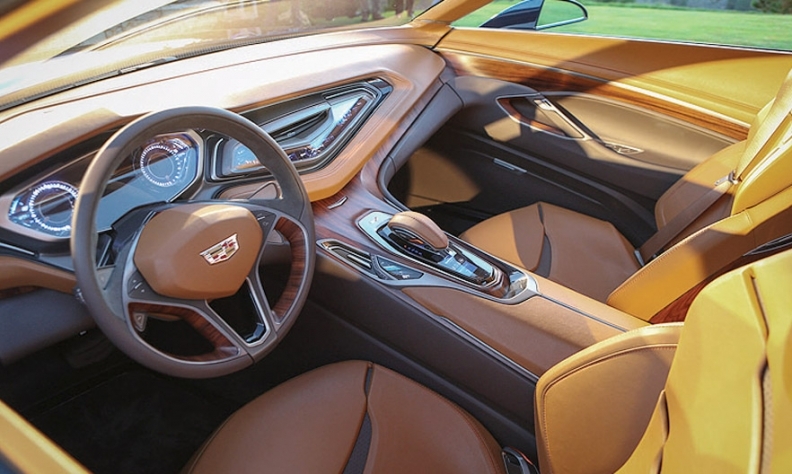 Clay Dean, GM's executive director of advanced design, said in a statement that Cadillac's stylists were influenced by the 1967 Eldorado, "both its actual design and the fact that in its time that car was a very stark contrast and a new direction."